If you call Connecticut home, your standard of living and economic opportunities are almost two times better than that of someone in West Virginia. That basic inequality shouldn’t be news to any American who’s spent a day outside. But rarely has it been put in such a stark visual form. 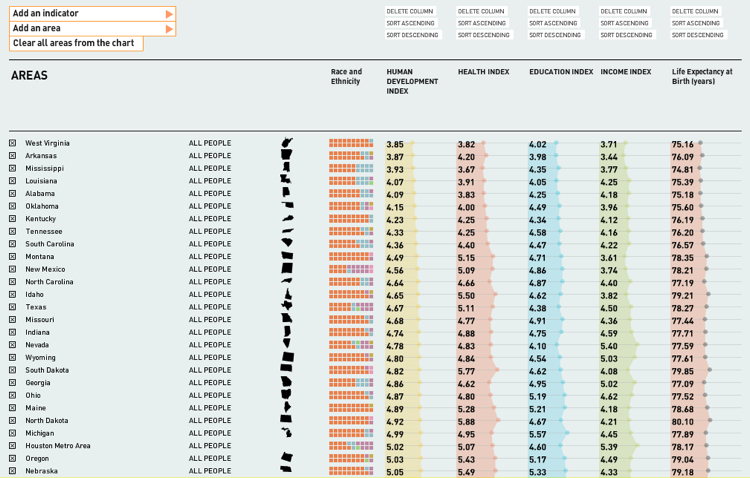 The images here are screenshots from a sweeping interactive data visualization by Rosten Woo and Zachary Watson for the American Human Development Project. 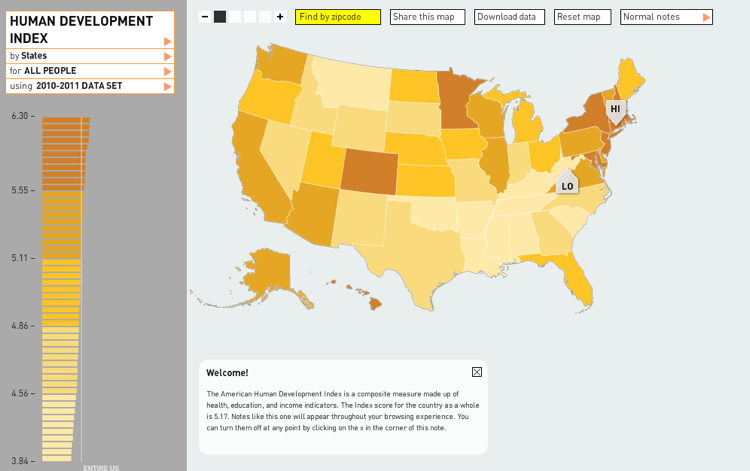 The infographic maps something called the American Human Development Index — a rough, one-stop measurement of quality of life across America based on things like education, life expectancy, and income — and lets you compare it to a raft of other factors, from political activity to local homicide rates. Think of it as a medical chart from the nation’s annual physical — one that reveals some serious health problems. The data here is so rich and vast, we urge you to futz around with it on your own. 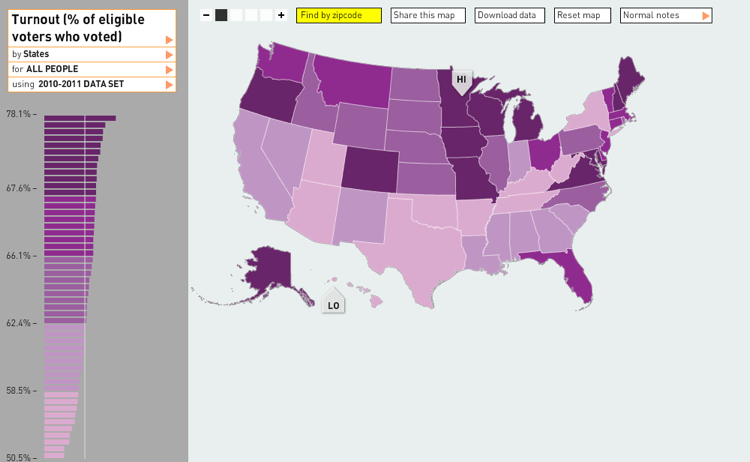 To give you a taste: Below, we created a map that shows the percentage of registered voters who actually vote. 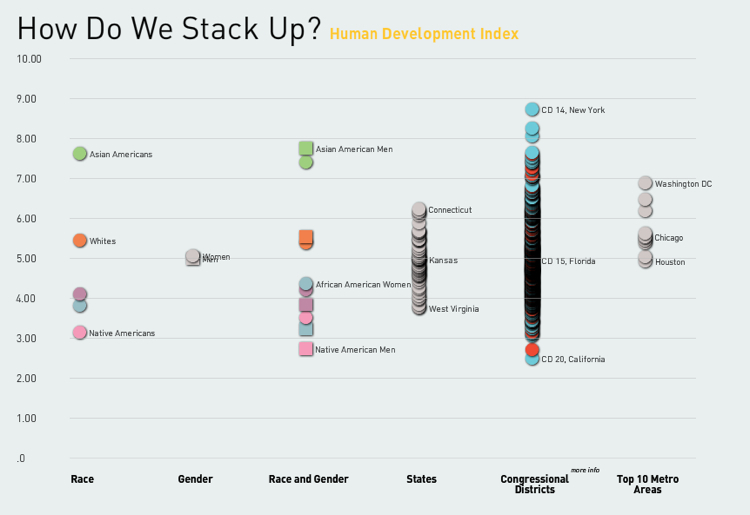 Note the overlap between turnout and the Human Development Index, suggesting a strong link between high standard of living and political participation.